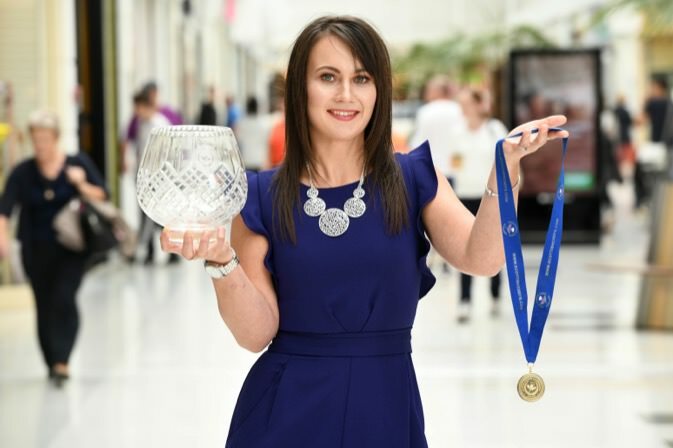 Thistles Shopping Centre, Stirling has announced Scotland’s ‘Chef of the Year’ Lorna McNee as the latest recruit to its #STIRLINGSHINES marketing campaign which celebrates the achievements of inspirational talent. One of the most exciting rising stars on the UK’s culinary scene, the 31-year-old who grew up in Forres and now lives in Auchterarder in Perthshire, initially studied Professional Cooking at Moray College. Upon graduating, her lightbulb moment came at the age of 19 following a work placement with Gordon Ramsay in the kitchen of his eponymously named restaurant within Claridge’s, London. Returning home certain of her vocation, and also knowing London was not her calling, Lorna made the bold step in approaching Andrew Fairlie, the hugely respected chef and Gleneagles restaurateur, for employment. Her ambitious aspirations were rewarded with a highly coveted apprenticeship. After a year, and relishing the experience, Lorna progressed to Commis Chef followed with the ascent to Chef de Partie, a position which saw her running her own section within the kitchen. Now, after a decade-long commitment to hard work and the opportunity of working with and learning from the very best, Lorna holds the position of Sous Chef at Restaurant Andrew Fairlie. This is an achievement even more notable given the restaurant’s status as the only one in Scotland to have held 2 Michelin stars continuously for over 12 years. Lorna’s creative flourishes and passion for provenance come into force especially when developing her own signature dishes. It is this individuality which saw her win UK Game Chef of the Year in 2016, and more recently Scottish Chef of the Year, a title she holds until 2019. The latter saw Lorna take part in a live-cook off at the SECC in Glasgow, presenting a four-course meal to a panel of industry judges, and beating off stiff competition to win the prestigious top accolade. Competing at the highest level is something the nation will witness her rising to the challenge of again tomorrow night (Monday 27th) on BBC2 as she takes part in The Great British Menu. This year the NHS is celebrating 70 years and the series will cook celebratory and heartfelt dishes in tribute to its heroic staff. Viewers will see Lorna pitched against rivals who are either all head chefs or restaurant owners and she pulls no punches about the experience. “In Restaurant Andrew Fairlie everyone is treated equal and judged on merit and talent regardless of gender. It is a non-stop learning environment with exceptional in-house training, and there are no concessions made for anyone, male or female. The standard and expectations are simply too high. Being in front of the cameras is something Lorna feels comfortable with, and whilst taking part in this Thistles shoot was her first foray in front of the fashion flashbulbs, she is clearly a natural. “I was thrilled to be invited to take part in the campaign. This is the first shoot I have done and it was such an enjoyable, new experience. I do love a good bit of retail therapy but rarely have enough time to explore the new season trends or have my makeup done professionally. It was a luxury being able to have a leisurely browse and experiment with different looks. “It was a pleasure to welcome Lorna into the centre and for Thistles to be celebrating her award-winning achievements so far.